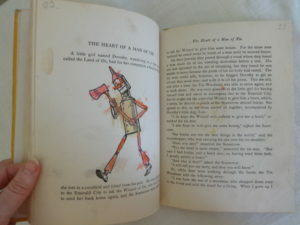 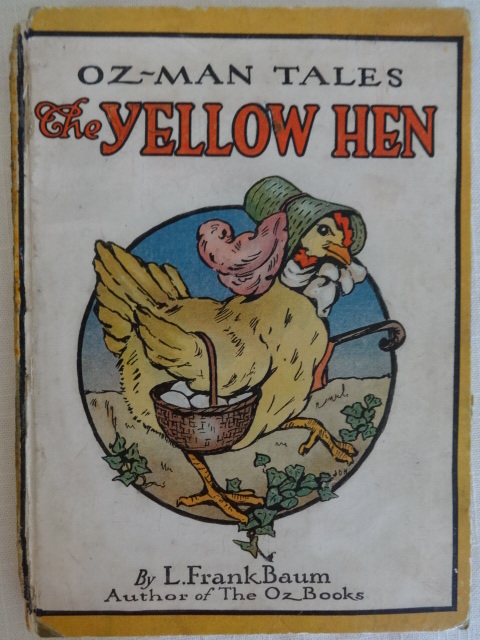 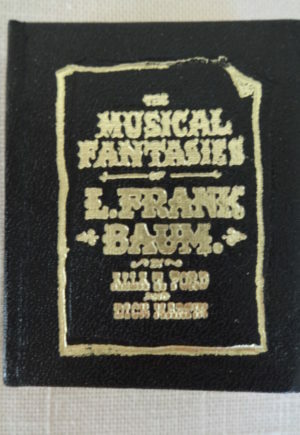 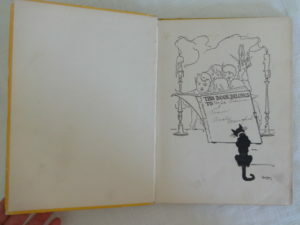 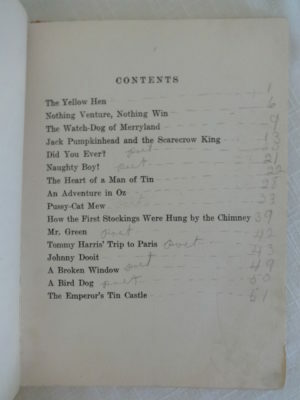 Here’s a rare L. Frank Baum book: one of the Oz-man Tales–The Yellow Hen. First published as a series of 4 “Snuggle-Tales” books by Reilly & Britton in 1916, these were re-issued with additional color plates as the “Oz-man Tales” by Reilly & Lee. 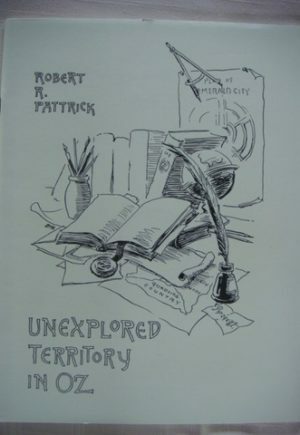 This book has a color frontispiece and 3 other full-page color illustrations by John R Neill. 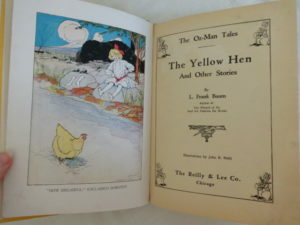 These paper-covered books are fragile and hard to find in good condition; this is one of my “Wild and Homeless” items that’s looking for a non-judgmental home, at a steeply discounted price. 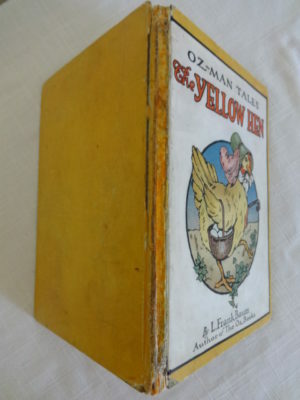 The cover looks ok, but the paper over the spine has perished and someone has supported it on the outside with glue. Inside, little “Hope” (who is named on ownership page) has colored a number of the black and white illustrations, none too neatly. 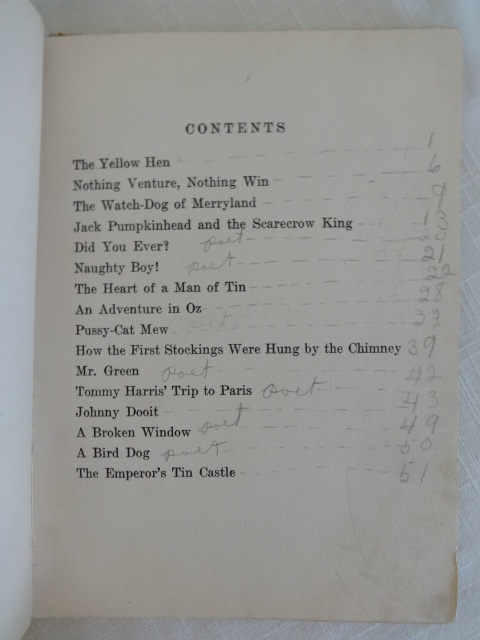 She has also numbered the pages in pencil and added some notations to the contents page. 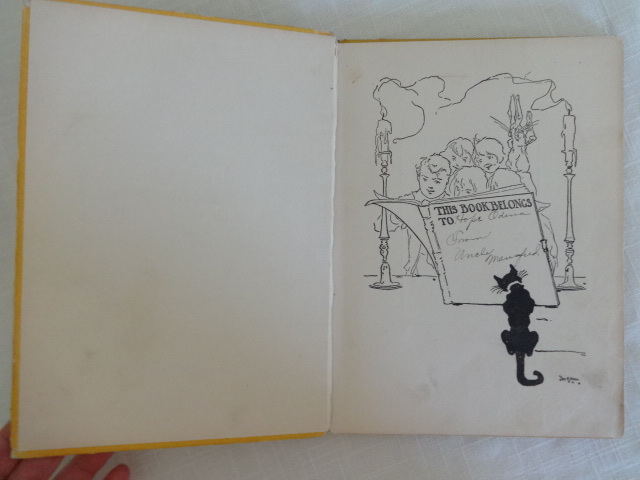 The four plates are present and in very good condition, although the frontispiece appears to have been glued to the prior blank page. 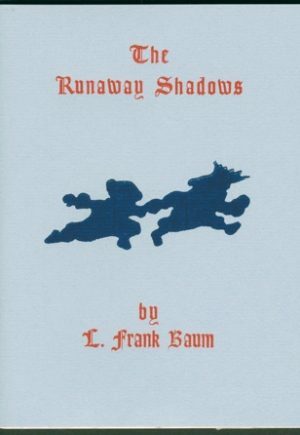 Text is complete, but a reading or placeholder copy only.